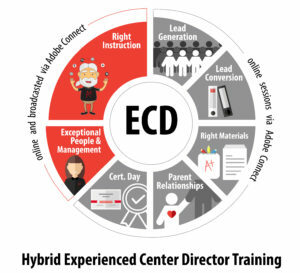 All attendees are required to have worked at a Mathnasium Center for at least six months prior to attending Experienced Center Director Training. Be sure to register to all 7 online sessions on Mathnasium University to reserve your spot. September 11 (Tuesday): Kick-Off Day — Online Instruction from 9:00 am – 12:00 pm PDT. September 18, September 25, October 2, October 9, October 16 (5 Tuesdays): Online Instruction broadcast from 9:00 am – 12:00 pm PDT. Each session will cover a different microsystem. October 23 (Tuesday): Certification Day — Online from 9:00 am – 12:00 pm PDT. Attendees will get to practice and perfect instructor interviews, MATH model, coaching role plays, parent discussions, and care call role plays. Trainees must attend all seven sessions (21 hours total) in order to receive certification. Any missed session must be made up during the next cycle before becoming certified. Click on the desired session name. Please note that trainees must register for each of the seven sessions individually (1 Tuesday Kick-Off event and 6 Tuesday sessions). The registration deadline will be Friday, September 7. 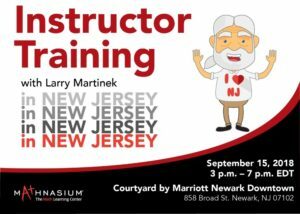 New Jersey, Larry and the Training Team are coming to you! Join them for an insightful time of knowledge and math magic! *A 15-person minimum is required for our Sunday training. If this number is not met, this session will be cancelled. Due to an event downtown, we highly advise taking the rail to the Instructor Training. Nearby rail stations are Newark Penn Station and Military Park Station. 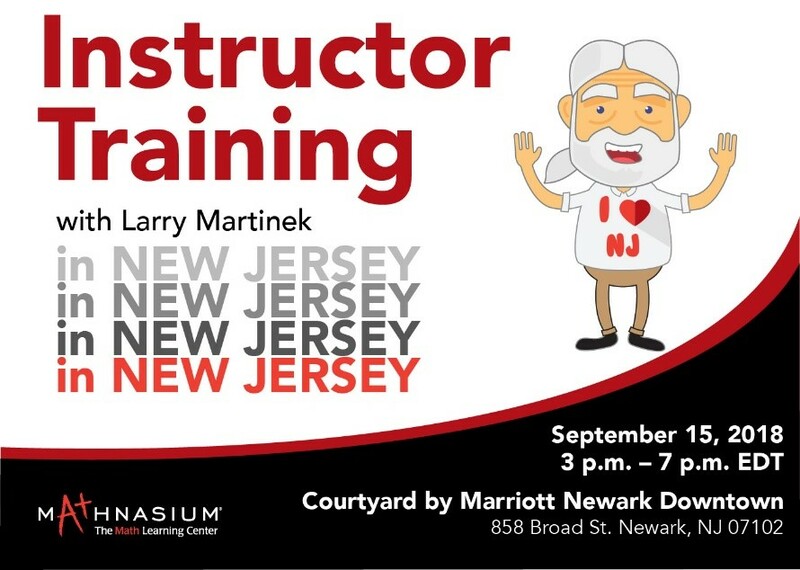 To register for the In-Person Instructor Training in Newark, please follow this link to MU (you may be prompted to login) and click “Request”. The registration deadline will be Friday, September 14. If Sunday’s Instructor Training is cancelled due to low attendance, we will send notification to those registered two days prior to the Sunday session. Please feel free to email the Training Team at training@mathnasium.com if you have any questions! The Training Department reserves the right to change the calendar at their discretion. Any schedule changes will be announced prior to the scheduled date. 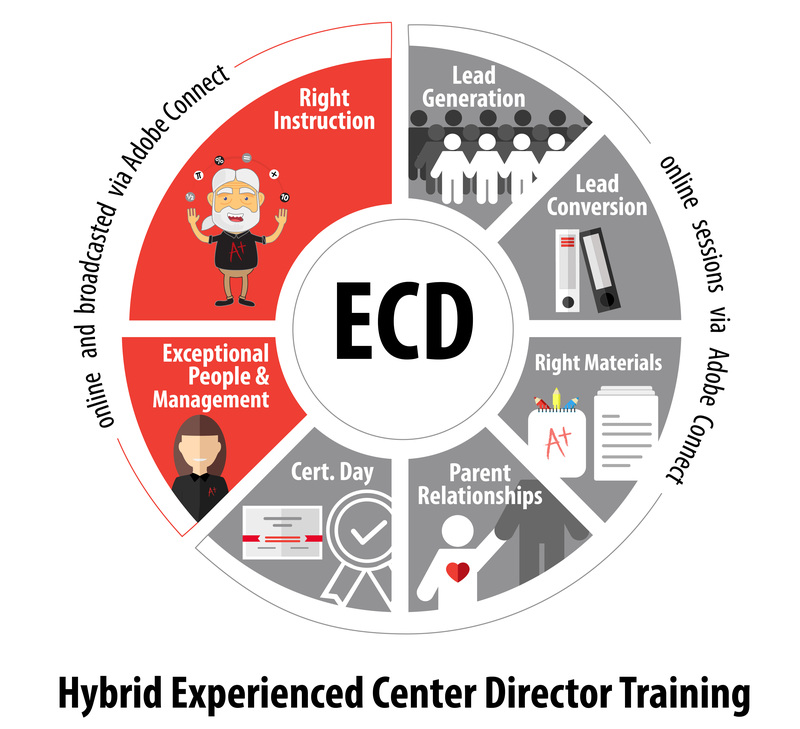 No user comments for " REMINDER: ECD Kick-Off on September 11th & Instructor Training on September 15th and 16th "